All are welcome to attend the ordination and consecration of the Rev. Carlye J. Hughes as the XI Bishop of Newark. Presiding Bishop Michael Curry will preside at the service on Saturday, September 22 at 11am at NJPAC in Newark. The Rev. Carlye J. Hughes was chosen XI Bishop of the Diocese of Newark on May 19, 2018. 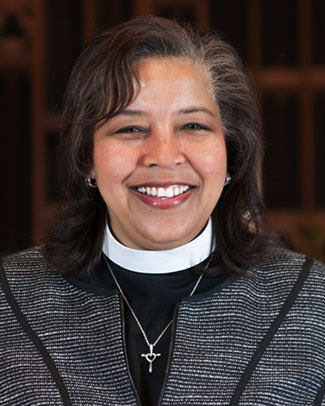 Hughes, 59, comes from the Diocese of Fort Worth and is the first woman and first African-American to be elected bishop of the Diocese of Newark. For more information, please see our Diocesan website.